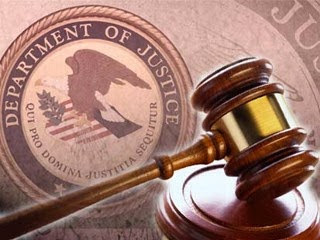 A former agent for a large national trucking company has pleaded guilty for paying bribes to officials at the Marine Corps Logistics Base (MCLB) in Albany, Georgia, in order to obtain lucrative freight-hauling business, announced Assistant Attorney General Leslie R. Caldwell of the Justice Department’s Criminal Division and Acting U.S. Attorney G.F. Peterman III of the Middle District of Georgia. Ivan Dwight Brannan, 60, of Jupiter, Florida, pleaded guilty before U.S. District Judge W. Louis Sands of the Middle District of Georgia to one count of bribery of a public official. During his plea, Brannan admitted that from 2006 to 2012, he provided cash and other items of value to Mitchell Potts, a former traffic office supervisor for the Defense Logistics Agency (DLA) at MCLB-Albany, to ensure that his trucking company client was awarded millions of dollars of business at MCLB-Albany. Brannan also admitted that he directed David Nelson, a truck driver, to provide cash and other things of value to both Potts and Jeffrey Philpot, another official in the DLA Traffic Office at MCLB-Albany. From 2006 to 2012, Brannan and Nelson paid at least $120,000 in bribes to Potts and Philpot. Potts and Philpot both previously pleaded guilty to one count of bribery of a public official and were sentenced to 10 years and seven years in prison, respectively, for their roles in the conspiracy. Nelson pleaded guilty to one count of bribery of a public official on Oct. 7, 2014, and awaits sentencing. The U.S. Army Criminal Investigation Command, the Naval Criminal Investigative Service and the Defense Criminal Investigative Service are investigating the case. Trial Attorney John Keller of the Criminal Division’s Public Integrity Section and Assistant U.S. Attorney K. Alan Dasher of the Middle District of Georgia are prosecuting the case.